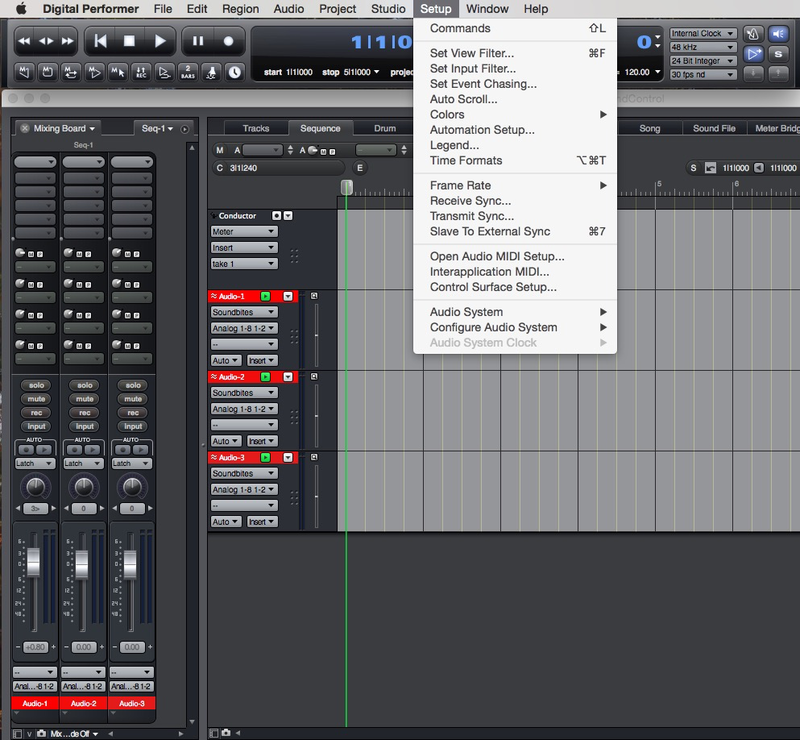 Open ‘Control Surface Setup…’ in the in the Setup menu. Add a new Driver, select ‘Open Sound Control’ and set the Input Port to for example 10100. Ensure that one OSC target of Parat+ is set to send to the IP address and port number as described above. /TrackList/0/Volume to control the Volume of the first track in Digital Performer. /TrackList/0/Pan to control the Pan of the first track in Digital Performer. /TrackList/0/SendList/0 to control the Volume of the first Send in Digital performer. /TrackList/1/Volume to control the Volume of the first track in Digital Performer. /TrackList/1/Pan to control the Pan of the first track in Digital Performer. /TrackList/1/SendList/0 to control the Volume of the first Send in Digital performer. N.B. all Parameter Ranges can be left at 0. to 1. as floating point numbers. Digital Performer uses a standardised range. A video will follow shortly.